The NHS has told Superdrug it could do more to protect the mental health of customers who want injections to smooth skin or plump lips. The High Street chain has said it will tighten its screening of Botox customers for mental health issues after these concerns were raised. Health minister Jackie Doyle-Price has said: "the desire to change appearance can be symptomatic of a mental disorder". 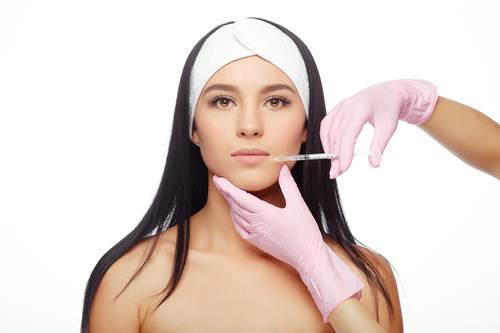 Professor Stephen Powis, NHS England medical director, contacted the pharmacy chain last year after it announced it would be offering cosmetic procedures be such as Botox and filler treatments on the high street. In response, Superdrug has put in place additional checks to protect those suffering from anxiety about their body or another mental health condition, including a 14-day cooling off period. Prof Powis said: "Pressures on young people’s mental health are greater than they ever have been, with families and the health service too often left to pick up the pieces. The lack of tough checks on cosmetic surgery means that the public is dependent on businesses taking voluntary steps to get their house in order, leaving people avoidably exposed to dangerous practices. Businesses that take action to deal with people responsibly, work to prevent harm and set themselves a high bar for their practices should make others follow suit." The NHS is concerned about the impact on people who are mentally ill, including with Body Dysmorphic Disorder (BDD), in which people are fixated on what they think are flaws in their appearance. The BDD Foundation says it can be a crippling illness and severely impair someone’s life. Superdrug said in a statement: "We remain fully committed to including recommended protections for mental health. We met with the NHS to ensure we have the highest safety standards and quality of patient care. We’ve always assessed a patient’s mental health as part of our skin renew consultation process. They added: “Our consultations last an hour to allow our nurse practitioners time to undertake a full and extensive consultation. This enables us to ensure we understand our patients’ reasons for wanting aesthetic treatments. It also flags to our team any risks or concerns related to a patient’s mental health."